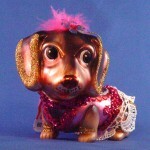 People who love dogs are the easiest people to find gifts for! Books. There are so many wonderful books out there from the delightful The Big New Yorker Book of Dogs to Mike Ritland’s Trident K9 Warriors; My Tale from the Training Ground to the Battlefield with Elite Navy Seal Canines to one both Fido and I love, Rick Woodford’s Feed Your Best Friend Better; Easy, Nutritious Meals and Treats for Dogs. Woodford takes the mystery of feeding your dog a healthy balanced diet. His book is brimming with information about dogs’ nutritional needs, how to know how much to feed a dog and how to address issues such as allergies, cancer, diabetes, kidney disease and more. One of my favorite charts compares the calories, protein, vitamins and minerals needed by a 50-pound dog with those of a 50-pound girl. At a glance you can see it all in perspective. Woodford’s recipes are easy and disappear quickly in our house. He has lots of advice about transitioning a dog to homemade food or supplementing commercial food for better health. Anyone with a dog should have this book. 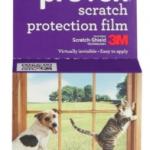 Pruven scratch protection film. 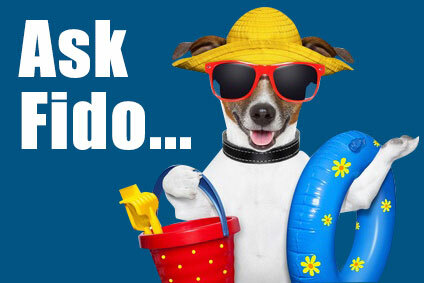 Oh, how I wish I had known about this product when Fido first came into my home! This 3M product looks like a roll of three-inch wide matte packing tape. 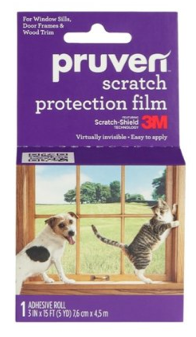 It’s a removable transparent shield to protect doors, trim, baseboards, window sills and cabinets from pets’ claws. A 15-foot roll cost about $13 on Amazon.com, and is also available at Target, Walmart, ACE hardware stores and drugstore.com. It sticks to the surfaces you want to protect, but removes easily. Please note that it doesn’t work on floors, drywall, wallpaper, upholstery or leather. A dog portrait. What dog lover wouldn’t want to have a portrait of the pooch? 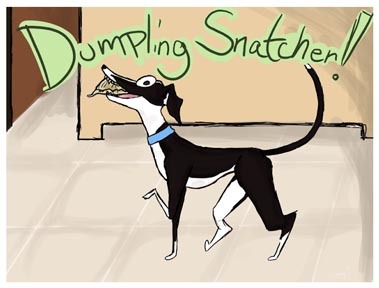 One of our favorites are Barktoons by Lizzy Garcia. Fascinated by cartoon art since childhood, Lizzy is a graphic artist who finds inspiration in the five unique dogs she lives with. 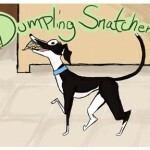 Her commissioned dog cartoons range in price from about $20 to $35, depending on the complexity of the design. To create a cartoon, she needs a paragraph describing the dog’s personality and five photos providing a 360-degreeview of the dog. She creates two to four concepts before electronically inking and painting the finished cartoon. If your tastes run more to the photographic or realistic, check out FidoUniverse’s listing of pet photographers and artists, including photographers who shoot portraits, environmental shots and photographs of dogs and people. PawStrokes offers oil on canvas paintings of beloved pets. U.S. postage stamps with a favorite dog’s portrait. 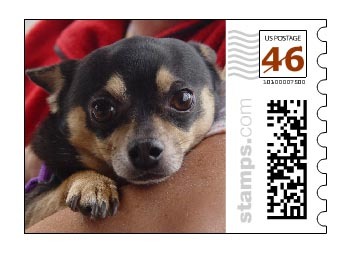 Imagine giving a friend U.S. postage stamps featuring her dog to use on holiday cards. 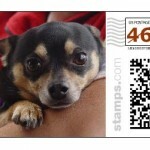 At Stamps.com, it’s as easy to as uploading a photo to Facebook. You can pick the denomination you want. A sheet of 20, 46-cent stamps costs about $20. It’s more expensive than ordinary stamps, but the smile factor is priceless. Poop bags. If there’s one thing that dogs use daily, it’s poop bags. For a gift, our favorite is biodegradable poop bags. They meet national and California standards (the ASTM D6400 standard) for biodegradability. These bags let heat and moisture evaporate, reducing bacterial build up. They decompose in a commercial composting environment within 80 days and in a landfill within five years. A handknit poop bag holder. Some poop bags come flat rather than rolled. A poop bag holder attached to a dog’s leash is the perfect solution. Here’s our favorite pattern for knitting one. It goes fast and works great with left over yarn. 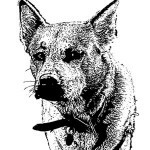 A rubber stamp with a special dog’s image. This is a gift you won’t find at PetCo: a rubber stamp made from a photo of your dog. Addicted to Rubber Stamps offers a design your own rubber stamp feature on its website. The stamps range from half-inch by half-inch to four-inches by four-inches and cost $4.95 to $45.95. Two video tutorials guide you through the process. This gift will spark smiles for years. 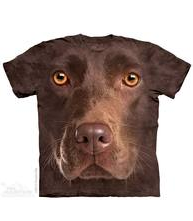 Big dog face t-shirts. Go ahead, wear your heart on your chest. 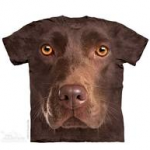 TheMountain.com offers some of the most wonderful t-shirts featuring different breeds of dogs. Pick your favorite and wear it with pride. The $20 shirts come in sizes from child to adult. Although we’ve provided this list, Fido and I think the holidays should be more about celebrating and less about buying. Dogs are creatures that know more than we do sometimes about how to celebrate. Sometimes the very best gifts are the simplest ones: taking a friend’s dog to the dog park so your friend can prepare for the holidays — or just relax; taking a friend’s dog on an extra long walk; dog-sitting while a friend takes a holiday trip; giving a dog a good brushing before guests arrive. 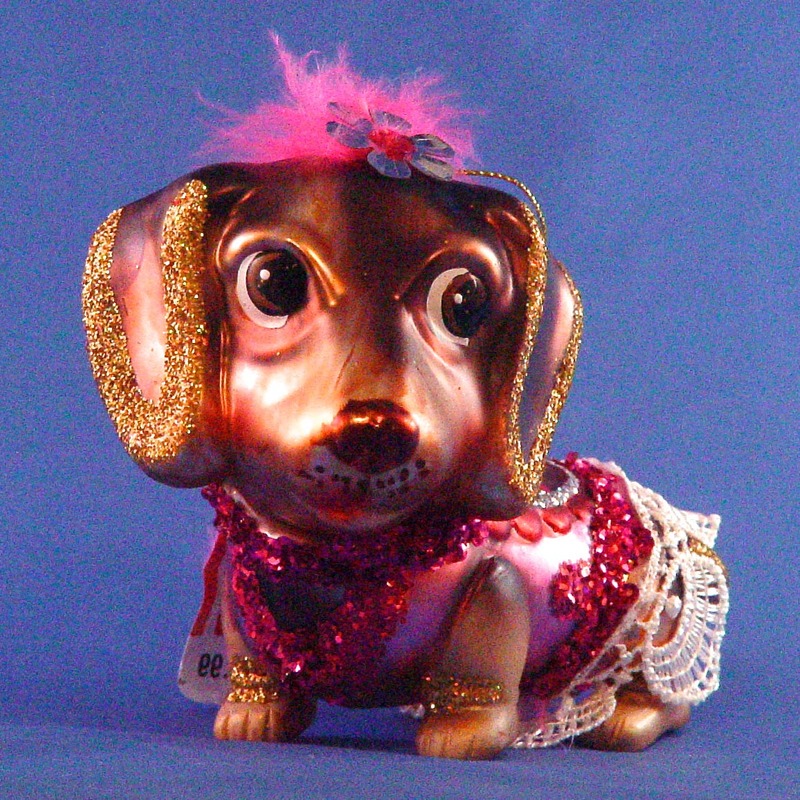 And if the person you’re giving to has a dog, any of the gifts on our list of gifts for dogs we love can bring a smile to her face.